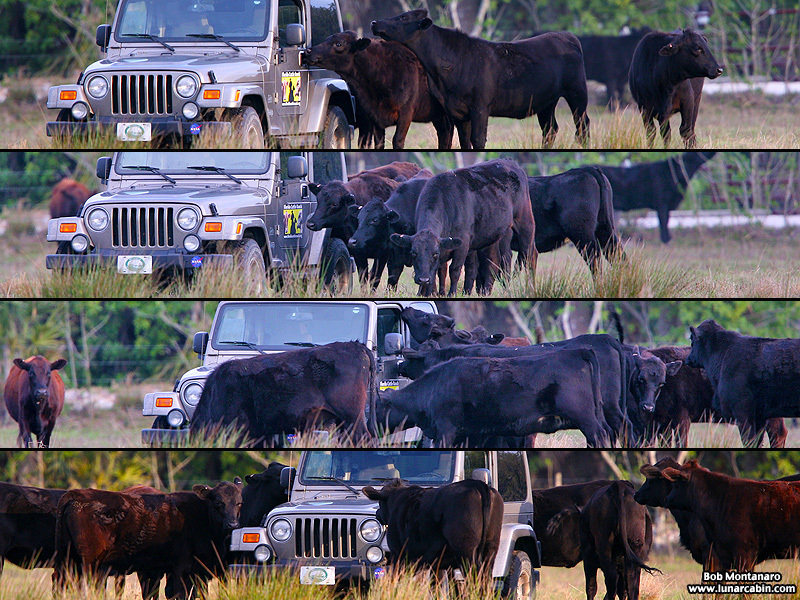 I was out in a pasture at Treasure Hammock Ranch to photograph a Crested Caracara nest up in a palm tree when a good number of curious cows came over to investigate my Jeep. Amusingly, when I returned to the Jeep after the cows had lost interest, I found every area reachable by a cow’s head had an imprint of their nose on the surface. I went for a long time without cleaning the Jeep after that. I wish there had been a way to preserve those perfect imprints of curious cow noses all over the Wrangler! On another occasion when I had the back gate of the Jeep open, some cows came over and stretched their heads and necks as far as they could inside without actually climbing in as they investigated the interior. Wish I had pictures of that!